Brett Finnigan has been a Canberra local for over 45 years, owning JAX Tyres Phillip since 2002. With more than 20 years automotive experience and over a decade since buying the store, Brett and his team have a loyal following of regular customers. JAX Tyres Phillip offers the best brands, the best advice, the best service and the best price. Associated services like balancing, alignments, rotations and nitrogen inflation are also available. Brett notes that nitrogen gives the tyre a longer life, and makes it safer on the roads, 'tyre safety is paramount, and the nitrogen definitely makes things safer out there," he says. "All wheel drive SUVs are a popular car for the family," notes Brett, reflecting the trend to buy a slightly larger, higher vehicle for daily use and adventurous weekends. Purchase four new tyres from a range of respected brands, and a wheel alignment to qualify for the myjax platinum tyre maintenance plan. The programme includes over $500 worth of savings for each car in the family and allows customers to access and track their tyre maintenance online, via myjax.com.au. Following the recommended servicing using the periodical reminders within the programme provides significant discounts and bonuses while prolonging the life and performance of the investment. The Colbee Court store provides the right tyres for your vehicle and services those living within the ACT, close to Woden, Duffy, Rivett, Chapman, Stirling, Waramanga, Fisher, Weston, Holder, Lyons, Curtin, Chifley, Pearce, Torrens, Farrer, Mawson, O'Malley, Phillip, Hughes, Garran, Deakin and Yarralumla. 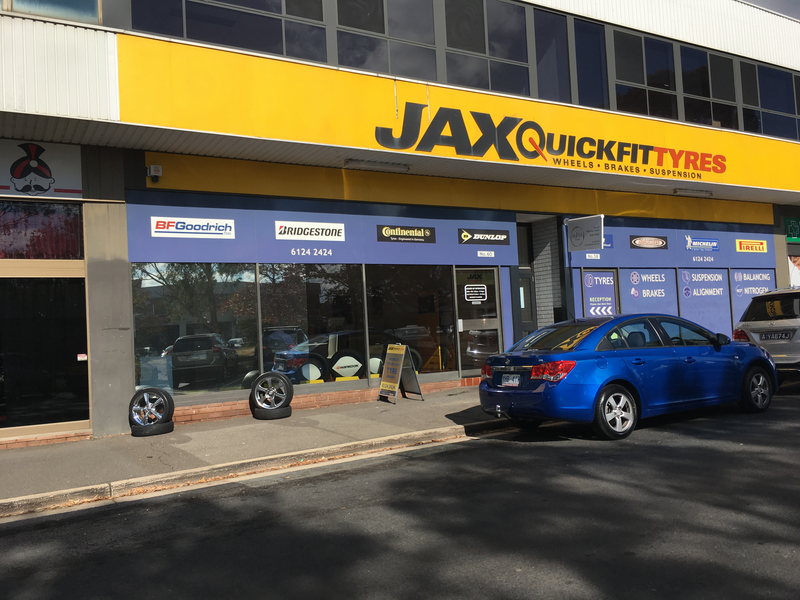 JAX Tyres Phillip is open from 7:30am to 5pm Mon to Fri and 8:30am to 12 midday Saturdays. Call 6124 2424 to make a booking or drop by.